A Pack of 3 Vapour2 Pro Series 3 E Liquid Cartridges for your Pro Series 3 and 3X Vaporizers. Save by buying a bundle of 3 Vapour2 Pro Series 3 E Liquid Cartridges. This auto sensing magnetic e liquid cartridge can be refilled around 15 to 20 times depending on how frequently it is used and refilled. The cartridge is compatible with both the V2 PRO S3 and PRO S3X Series Vaporizers. To get the best long term usage from this cartridge we recommend that you keep the cartridge regularly topped up with e liquid because this will keep the wick moist to help give the best taste and vapour production. 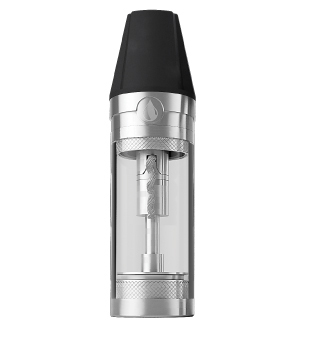 The PRO E Liquid cartridge will provide around 800 puffs and the tank capacity is 1.6ml of e liquid per refill. The Pro Series 3 E Liquid Cartridge is for use with the V2Cigs PRO S3 & S3X Vaporizers only and cannot be used with the V2Cigs Classic or EX Battery series.